The Dura range of pool heat pumps is recognized as one of the industry leaders in the swimming pool heat pump market with their quality and reliability. You might find cheaper alternatives but in terms of service and back up Dura are second to none, plus being a European company you can be sure that service back up and spares will not be an issue in the future. 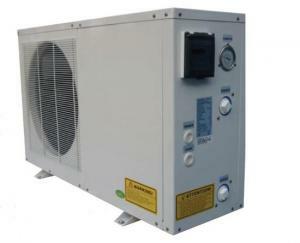 The Dura standard range of swimming pool heat pumps are ideal for pools that are being used all year round. All models have titanium heat exchangers which is resistant to salt and chlorine for long life. These models have rated energy efficiency COP of 5.5 and will work down to an outside air temperature of -5 degrees centigrade.